Indian homemade garam masala spice mix. 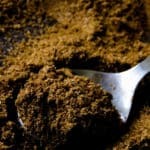 Indian homemade garam masala spice mix- stop using store-bought garam masala powder to cook your favorite Indian dishes, it’s time you learned to make your own. it’s more aromatic, flavorful, you’ll never go back to buying the spice blend again. Garam masala, a blend of “hot” spices, adding fragrance, strong flavor to all your Indian curry dishes is one of the most popular spice blends out there. If you’ve dipped your fingers into a tasty Indian beef and potato curry or made your own oven-baked tandoori chicken, chances are, you’ve used garam masala in these dishes. What is a garam masala spice mix? A loose translation of the combined words”garam masala” will be a hot spice blend which in a way makes sense as the ingredients in this Indian curry powder adds a certain amount of warmth to curries. Mind you, the heat I’m referring here does not mean spiciness but a certain flavor profile. Though Garam masala originated in India, the spice mix has become a favorite blend in many homes around the world including mine. Not only do I use it for the Indian curry dishes, I even use it in some of my Sri Lankan dishes, like my canned tin fish curry which tastes so much better with a pinch of garam masala sprinkled over the dish. What are the spices that go into garam masala? Although there are a few standard ingredients that go into garam masala, the spice mix can vary from region to region in India. And just like we are handed down our own blend of Sri Lankan curry powder mix, there’s probably a special mix, passed down through families as well. The most common spices in garam masala are cumin seeds, coriander seeds, cardamoms, mace, nutmeg, bay leaves, cloves, peppercorns, cinnamon, caraway, fennel, star anise. 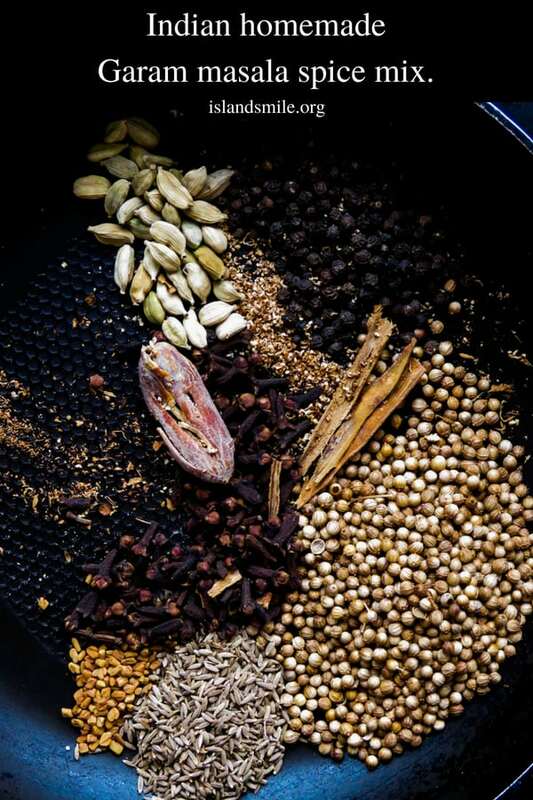 These are the main spices that go into a good, better than store-bought garam masala but don’t be surprised if you come across a more elaborate blend with more spices than you can count with your fingers. The use of these spices with balanced ratios are never accidental, the more complex the blend, the deeper the flavors and color the dishes become. 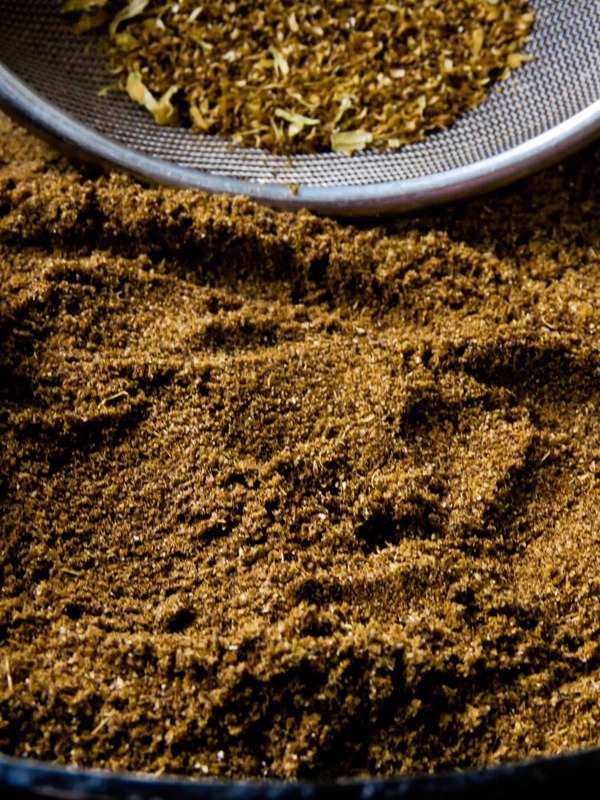 Why you should make your own garam masala. 1/ you really don’t have any idea how long the spice bottle had been on the store shelf even if there’s an expiry date on the bottle and as time passes, the strength of the spice can diminish. 2/the bottled stuff will never have the best standard of the ingredients needed to make garam masala. If you ever make the homemade version, taste and inhale the aroma of the homemade garam masala you’ll know the difference, not only the freshness of the spice mix but the aroma and flavors are strong and bold. to make my own garam masala? Head on to any of the Indian grocery stores in your own town and you’ll find all the spices you’ll need to make a bottle of your own garam masala. Is it easy to make garam masala at home? If you can find a coffee grinder and the spices for the garam masala powder then making spice blend is very easy and well worth the effort you put in, especially if you make Indian food all the time. Can I use garam masala in any curry? 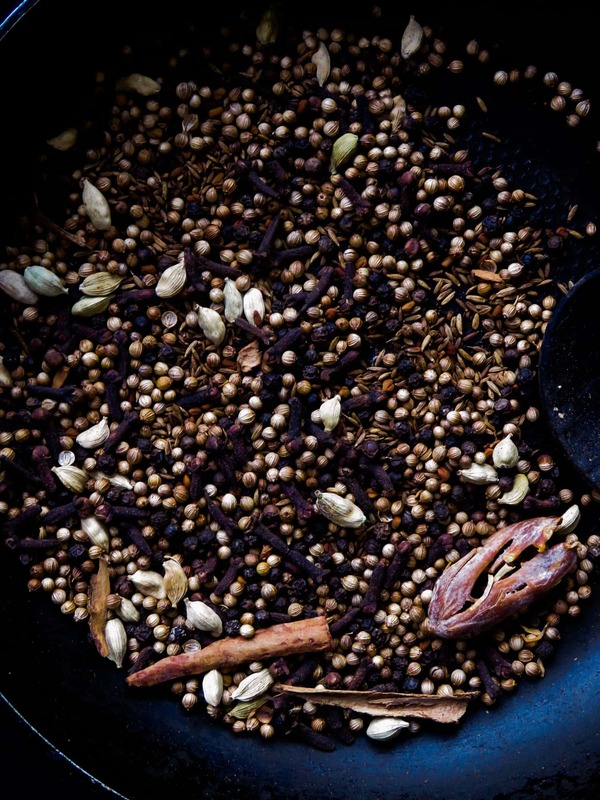 Once you start making your own curry powder including garam masala, you’ll find yourself using this spice blend not only for Indian cuisine, you’ll be sprinkling this fragrant mix in most of your cooking and marinades. I add a bit of garam masala to most of my curries, a pinch mind you, to enhance the flavors, I love adding it to my very own Sri Lankan dhal curry. 1/ keep in mind there are many versions of garam masala out there, some family recipes, some basic using just five ingredients, some having more than ten spices. 2/the depth of flavor, color, the strength of the spice blend changes according to the ratio of the individual spices you add. start with this recipe and move onto making your own blend of garam masala. 3/do not confuse curry powder and garam masala, these two falls under spice blends that help you make curries but they are completely different. 4/never make a large batch of garam masala, you’ll want the spice blend to be fresh so make enough to last a month. 5/I know there will be safety concerns regarding the use of glass bottles but if you can, try to store the garam masala in glass containers to retain the freshness of the blend. 6/the following garam masala recipe is made up of 12 ingredients, there are simpler version of the same but having a strong, aromatic spice mixture like this will come in handy to give your favorite dishes strong flavors, just make sure not to be heavy-handed in the use of this garam masala powder, depending on the curry, a pinch to 1/2 teaspoon of this garam masala powder goes a long way. needed to make garam masala. 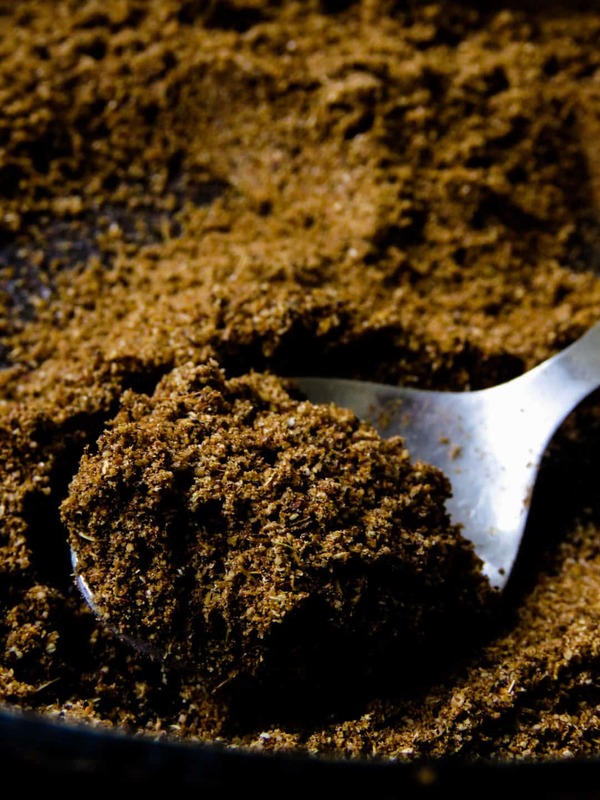 recipe- Indian homemade garam masala spice mix. Have the spices ready in individual bowls as they need to be gently dry roasted. except for the star anise, bay leaves, mace which can be roasted together. Over low-medium heat dry fry the spices separately until they release their aroma, dry roast the spices for 2-3 minutes while constantly stirring to avoid burning the spices. reduce the heat to low if necessary. Once all the spices have been separately dry roasted, combine all the spices together and let the ingredients cool down. Make sure the spices are cool before following the next step. In small batches grind the spices until they turn to powder, each batch will take you less than one minute to powder. Use a sieve to separate the fine spice powder from the coarse bits left behind, use the grinder to powder these as well(you might be left with a few coarse pieces of spices that will not grind, store these coarse bits in a separate container and use them in meat and poultry curries. Once you have the finely sieved garam masala, transfer the powder into an air-dried glass container, use and close the lid tight to maintain freshness.